BONTOC, Mountain Province – Two persons were arrested while hundreds of board feet of alleged illegally sawn lumber were confiscated by combined police operatives and intelligence during an anti-illegal logging operation at sitio Sigsag, Bayyo, here, last Saturday. Senior Superintendent Allen S. Ocden, provincial director of the Mountain Province Provincial Police Office, identified the arrested individuals as Jesreel Buclig Binmokod, 26, single, farmer, and Jonel Moyamoy Dulawan, 28, single, both native and resident of Barangay Bayyo, Bontoc, Mountain Province. Confiscated from their possession were eighty pieces of lumber of various dimensions with a total volume of 31,920 board feet loaded in a blue mini dump truck registered in the name of Edmund Pedlao Bas-ilan. Upon receipt of the information on the presence of the illegal-sawn lumber already loaded on the truck, Ocden instructed joint personnel of the Bontoc Municipal Police Station, Mountain Province Police Maneuver Force Company and the Regional Mobile Force Company to validate the report that turned out to be positive. “We thank concerned citizens who continue to provide us with vital information illegal activities in the province so that we can immediately act on the said reports. We urge the public to continue to be vigilant on the presence of illegal activities in their places for us to be able to succeed in our efforts to stamp out all illegal activities in our beloved province,” Ocden stressed. The police official admitted that law enforcers cannot succeed in their efforts to curb illegal activities province-wide without the active participation of the people who are witnesses to the commission of the said illegal acts, thus, timely reporting of illegal activities should be done to allow them to act and prevent the incidents that pose serious threats to the safety of the people. 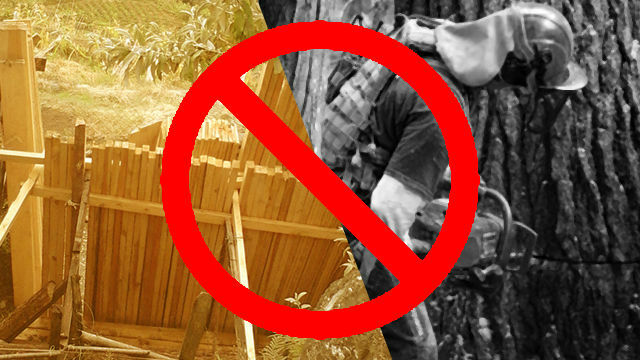 Ocden also reported successful anti-illegal logging operations in Natonin, Sabangan and Bauko over the week wherein hundreds of board feet of assorted lawan and pine lumber were confiscated by responding police operatives although there were no suspects who were arrested in the said operations. The arrested individuals and the confiscated pieces of lumber and the impounded vehicle were brought to the Mountain Province Police headquarters for documentation prior to the filing of the charges of violations of the provisions of Presidential Decree (PD) No. 705 which will be filed against them. Ocden emphasized the need for the residents to strengthen their combined efforts in preserving and protecting the state of the province’s environment being one of the few provinces in the country that remains to be forested because passing on a good state of environment to the present and future generations will be the best gift that the present generations of Cordillerans could give to the younger ones that is why more concerned citizens should be empowered to cooperate in reporting illegal activities of unscrupulous individuals that tend to compromise the state of the environment for immediate action by law enforcers.